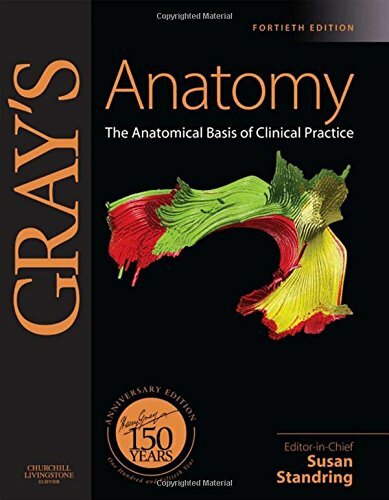 "In short, the 40th edition of Gray's Anatomy is not only the most complete textbook of anatomy on the market but is possibly the most complete anatomical atlas available." -JAMA, May 6, 2009--Vol 301, No. 17, pp. 1829-1830. "I am not aware of any book currently in print in any language that contains as much anatomical information as the 40th edition. it should be in the library of anyone who has the need for a comprehensive anatomical reference book. It may seem costly, but, per pound, it really is a bargain. Many books on the market offer much, much less but cost much more." -JAMA, May 6, 2009--Vol 301, No. 17, pp. 1829-1830. "One of the most valuable aspects of Gray's is the way it integrates structure at all levels, from the subcellular through the regional." -JAMA, May 6, 2009--Vol 301, No. 17, pp. 1829-1830.